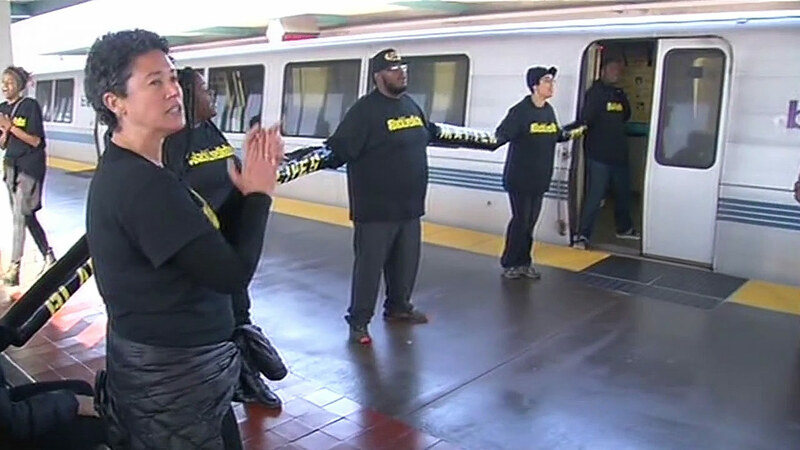 OAKLAND, Calif. (KGO) -- The protesters who chained themselves to a BART train in November asked a judge Wednesday to dismiss the charges. Fourteen people were arrested for shutting down the West Oakland BART station, the day after Thanksgiving. Their attorney said the law under which they were charged, trespassing on railroad property, is so vague it could allow you to be arrested just for talking to somebody at a train station. The prosecutor said it's clear that chaining yourself to a train and blocking thousands of riders is illegal. The judge promised a written ruling, soon. BART is no longer seeking restitution for the $70,000 it claims it lost that day.